Everyone knows that mental stress affects physical health, both directly and indirectly. For example, stress affects blood pressure, and fluctuations in blood pressure in turn play a part in the development of cardiovascular disease. Demonstrating the link between stress and heart disease has been one of psychology’s most impactful contribution to health sciences and human welfare. The stress-health link is often discussed in terms of the way stress elevates cardiovascular reactivity (CVR) such that disease becomes inevitable. However, the stress-CVR association is not as straightforward as we first thought. Many anomalies exist: (a) elevated CVR is not always bad; (b) deflated CVR is not always good; (c) individual differences suggest that CVR might in fact be a secondary outcome of risk mechanisms; and (d) laboratory models tend to ignore the role of stress habituation. This lecture will attempt to show how recent studies help resolve these anomalies, supporting a unified model of stress-related cardiovascular ill-health. Tips on not dying will be incorporated. Brian Hughes is a Professor of Psychology at the National University of Ireland, Galway. He is a former President of the Psychological Society of Ireland, and was the founding chair of its Division of Health Psychology. He is Associate Editor of the International Journal of Psychophysiology and a past president of the international Stress and Anxiety Research Society. He has held visiting academic appointments at University of Leiden, King’s College London, the University of Birmingham, and the University of Missouri. He is a prominent advocate for scientific psychology, evidence-based policy, scientific outreach, and the role of psychology in society. His books include Rethinking Psychology: Good Science, Bad Science, Pseudoscience (Palgrave, 2016) and Conceptual and Historical Issues in Psychology (Prentice-Hall, 2012). 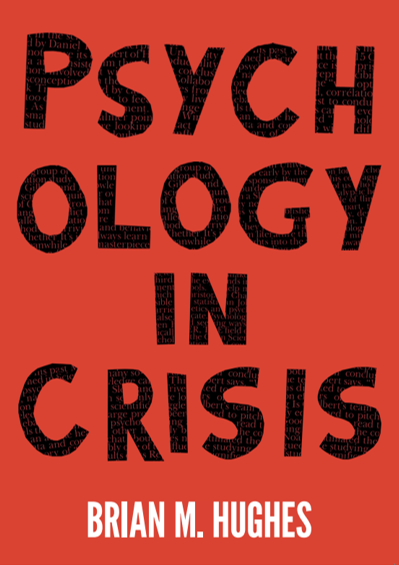 His latest book, Psychology in Crisis, was published by Palgrave in 2018.